Having a Pinterest profile is not enough, just like any other social networking site, it needs work and dedicated effort. 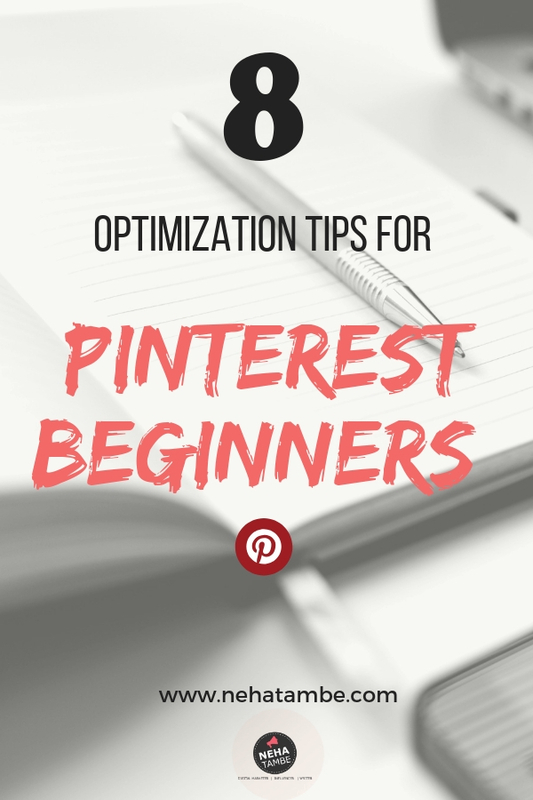 Today we will discuss Optimization tips for Pinterest in general. As we consider Pinterest as a search engine, our efforts should be primed towards optimizing our profile for a better reach. Apart from the few tips mentioned in the earlier articles, we will be seeing other options to optimize our Pinterest profile and reach. Pinterest has recently added the following tab in your profile. This collates all the pins from the people you follow in a dedicated tab. This helps keep track of content that you really like and it also means that you can be in front of your followers faster and higher. Make the most of this and engage with the audience there. If you followed a person, chances are that you loved their content. If you engage with their content then, there is a higher chance of building a tribe around the topics that you mutually enjoy. Pinterest smart feed and search algorithms are tuned towards showcasing the best content that you will enjoy. 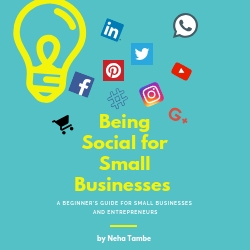 Hence the content that is shared in the home feed is a mix of content from the people you follow, the content based on hashtags, content based on keywords and the content that Pinterest thinks you might enjoy. Make sure that all your pins have some relevant hashtags. This does not mean that you spam it, nor does it mean that you add it to all the older pins. Make sure that moving forward you include hashtags in your description. Keep the hashtags keyword relevant and pointed; not like Instagram. Pinterest values consistency and quality over quantity. Make sure that the pins that you repin are of good quality. Pin only to relevant boards as Pinterest can penalize you for sharing content that is of poor quality or is repined to irrelevant boards. Be consistent in your pinning effort even if it is five per day. It is okay to be pinning 5-50 pins in a day. Understand your bandwidth and be consistent. Consistent pinning will ensure that your pins get higher visibility. Making your website Pin friendly is important. You might have an image that is worthy of pinning and it might even be of the right size however, if there is no quick button to share it, chances are your user will not pin it. You can activate the Pin it button from Pinterest or you can activate the same in your social share plugin. Whatever the method, ensure that you activate pinning option on your site. As discussed earlier, as there is a dedicated tab for following’s pins, it is important that you get saves or likes for your pins from your followers. If your followers like your pins, chances of the pin being repined and being shown in newsfeeds increases. It is also an audience that you wish to engage, hence more than the quantity of followers, the quality of your followers is important. Find your best performing pins using analytics and reschedule them after a decent time frame. We don’t want to bore our audience with the same pins, however they need to know your evergreen content, which is more likely to be tried, used or pinned. You don’t need the same image to be pinned for a single content piece. You can create multiple pins for a single piece of content. Another important point is not all images need to be present on your website. You can have one pinnable image on the site and create 2-3 variations for the same content and upload it directly to Pinterest. However the important point to remember here is that all these pins should be directly pointing to that particular web link rather than your homepage. These are few of the Pinterest optimizing tips that will help you polish and restructure your Pinterest profile. Do let me know if you found the tips helpful in comments below. If you have any questions related to the topic, feel free to mention the same in comments below. Thanks for such informative post on Pinterest. I needed this information since i was new at Pinterest. This is such an informative post as I really want to learn this from so many months and now have an idea where to hop more for knowledge. I did not know that one can have one pinnable image on the web site and create 2-3 variations for the same content and upload it directly to Pinterest. Thanks Neha ! Pinterest is the major source of blog traffic and I try to be active there. Will follow your tips. These are really helpful for us. Thanks for these tips. I have been consistent with my pinning activity and try to make good pins. This has actually helped me increase my visitors a lot. I have had a Pinterest account for years but have only recently started posting on Pinterest. Your points are all bang on, now just have to wait for the system to do the work. Thanks for the tips, will help me in making my pinterest journey more easy and useful. I was so flabbergasted With starting Pinterest as I needed to grow on other social platforms and What a writeup! Thank you so much for sharing! This is really very informative I never know these points thanks for sharing . It will be of great help . Extremely informative post. I am not very great on Pinterest n these will help. Thank you Neha. Thanks for this post. So informtive and best part is it comes on right time when i m setting up my pinterest acc. This is such a useful article. I’m trying to optimise my pins but this blog article have me so many tips . It’s so important to have a pin it button enabled and pins to have right dimensions.